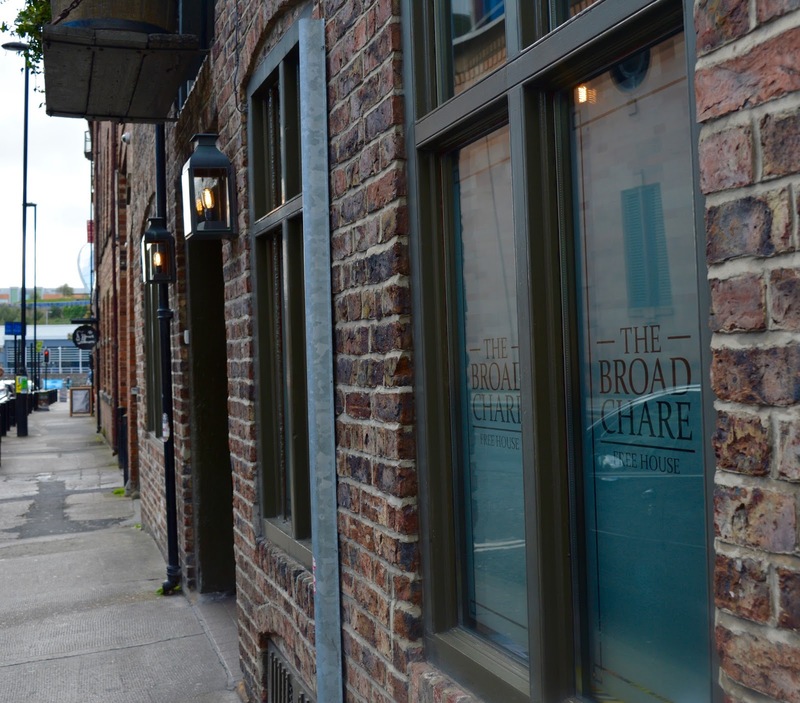 After visiting (and falling in love with) the Broad Chare Pub on Newcastle Quayside during Oktoberfest, they have been well and truly on our radar. 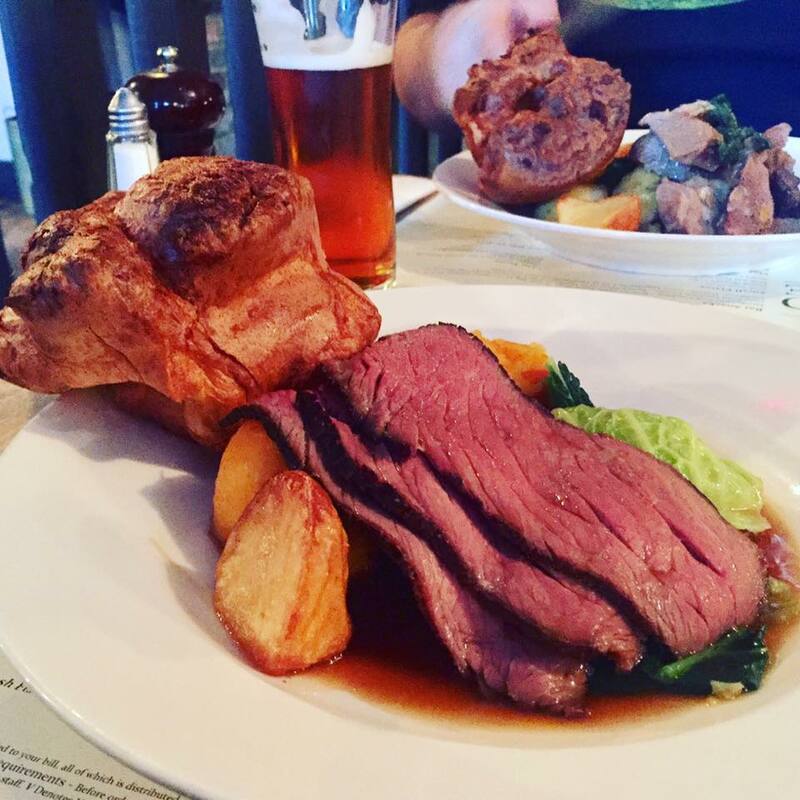 Often cited as the best Sunday lunch in the toon, we booked a table as something to look forward to during our Christmas shopping weekend. The kids were at grans so it was just Steve and I. As we were Christmas shopping, I wasn't keen on carrying my camera around too so I relied on my trusty iPhone for these pics. We booked a table online and would recommend doing this as both the pub and restaurant were super busy. After our wander around the Quayside Market we were 40 minutes early for our reservation so popped into the Head of Steam pub next door for a pre-lunch drink. We finished our drinks just in time and at 2pm we headed across to the Broad Chare. Sunday's have a completely different vibe to a weekday lunch. They are certainly more relaxed with toddlers in highchairs digging into Yorkshire puddings and extended families sitting around a big table together and enjoying lunch and a bottle of wine. It almost made me wish we'd actually brought the kids along. The service at The Broad Chare is always fantastic. Friendly, attentive and knowledgeable. Just what you need. It's quick too - we were in and out within 45 minutes. For 2 courses, that's really good. I prefer the service to be speedy but I noticed other tables were more relaxed and if you want to take your time over a few glasses of wine and dessert then that won't be an issue. I love a good wine list and the Broad Chare's is very good with a lot of wines available by the glass. Their real ales and beers list is substantial too. Steve picked an ale from the list (I have no idea what it was but he seemed to like it) and I opted for a large glass of Chilean Merlot to accompany my beef. Perfect. There were two choices for Sunday lunch (beef or lamb) on the day of our visit or you could choose anything from the main a la carte. I went for the beef and Steve the lamb. I will never understand those who order anything but Sunday lunch on a Sunday! We ordered a couple of bar snacks to start with. 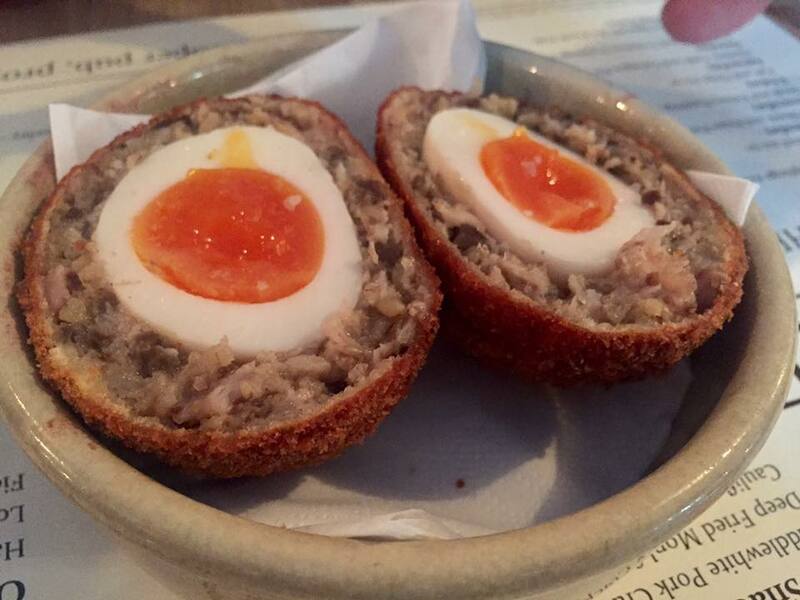 Steve went for the Scotch Eggs which he thoroughly enjoyed. He mentioned they were a tiny bit overdone as he prefers a runnier yolk but that's probably personal preference. Ordering a bar snack as a starter is ideal before Sunday lunch as the portions aren't too big and you are left satisfied but ready for the next course. I went for the Monkfish cheeks just because they intrigued me. I've eaten monkfish a couple of times but I haven't had it served like this. They were lovely and light and served with a homemade tartar sauce, the perfect start to my lunch. We are already planning a bar crawl along the Quayside at the beginning of next year and will definitely be sampling a few more bar snacks from the menu then. Sunday lunch is priced at £13 at the Broad Chare which I think is very good value. How perfect is my roast beef! Served pink it was beautifully tender and there was plenty of it as well. I was chuffed it was automatically served with a pot of Horseradish too. Yum! The roasties were homemade - crisp on the outside and soft and fluffy on the inside and the veg was just proper comfort food at it's best. Steve welcomed the addition of spouts, bacon and nuts served as an additional side bowl to our table. Steve's lamb was again 100% perfect. The sort of lamb that melts away when you eat it and is full of flavour. I spied a slow cook shoulder of lamb to be shared between 5 people on the specials board. I bet that is something else! The Yorkshires were also perfect. You can't beat a homemade Yorkshire can you. The only criticism we both had with our meals was the gravy which really let the meal down. I LOVE a good gravy but unfortunately, the Broad Chare's was very thin and had no flavour at all which was disappointing. There also wasn't nearly enough of it. It just wasn't a patch on the red wine gravy we'd enjoyed at The Cherry Tree a few weeks earlier which was served in a generous jug for our table. Our lunch was £48 for 2 courses including alcoholic drinks and a 10% service charge which I think represented good value. 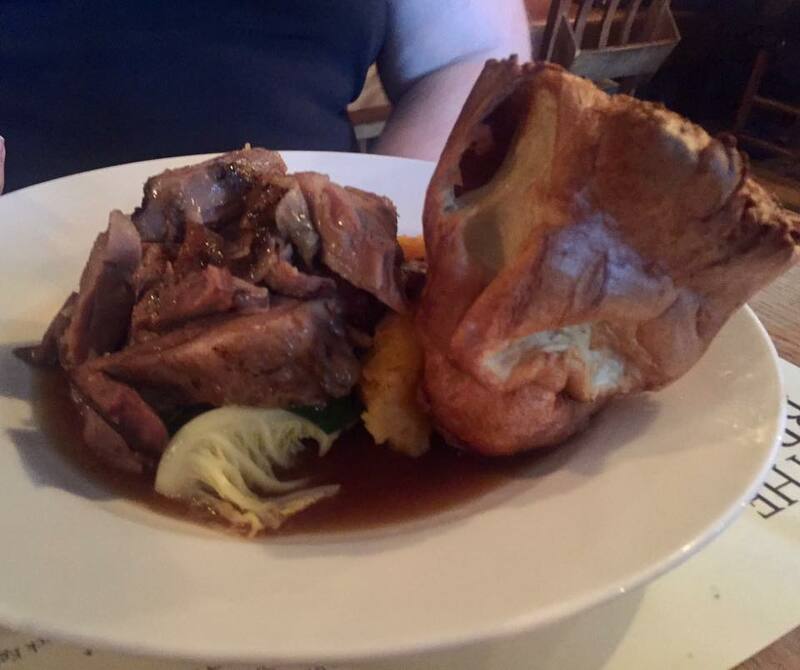 Is it the best Pub Sunday lunch in Newcastle? Maybe. There's still a few places for me to try before I say that though. 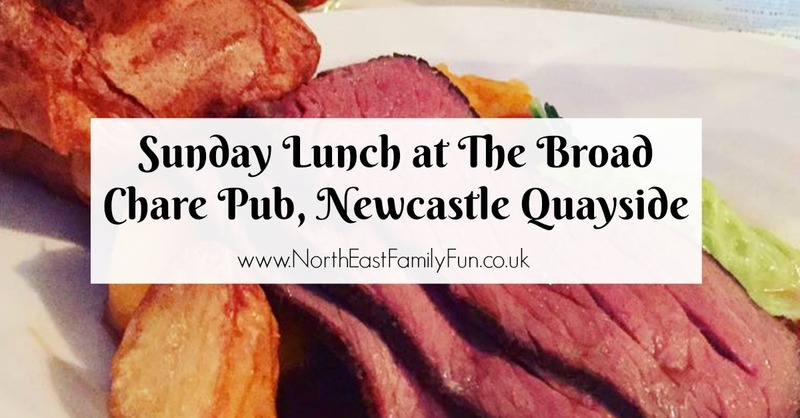 What I can say is that although I did thoroughly enjoy our lunch and would return, my favourite Sunday lunch in the North East still belongs to the Fox Hole at Piercebridge which is AMAZING! You simply must try their Sunday lunch platters. 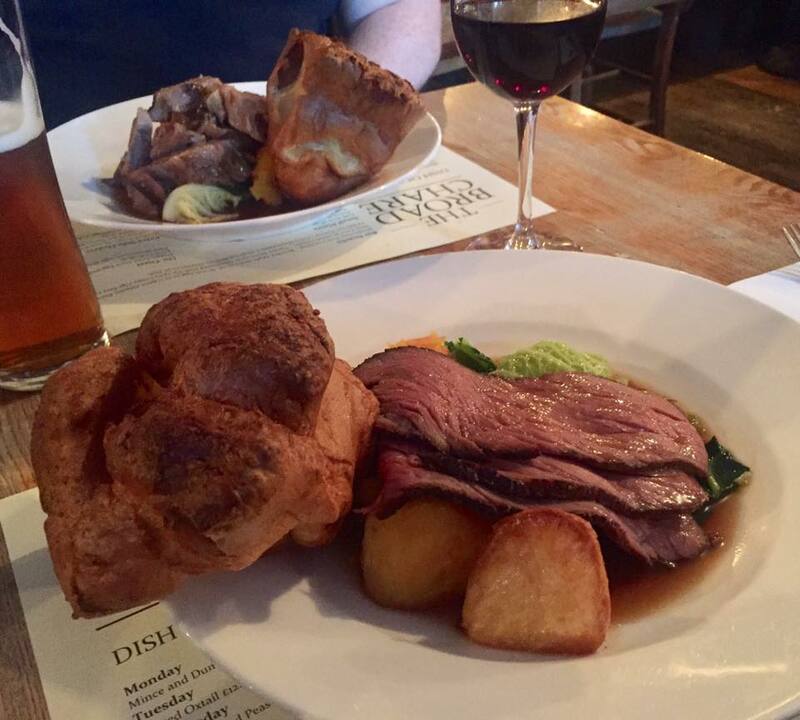 Let me know if you've tried Sunday lunch from the Broad Chare and if you have a favourite spot for Sunday lunch. The Broad chare is my favourite in Newcastle! But we always have the gravy issue and ask for more which they're always happy to bring. I agree the staff are so nice I have no idea when they get time off though as it's the same familiar faces every time we go in! 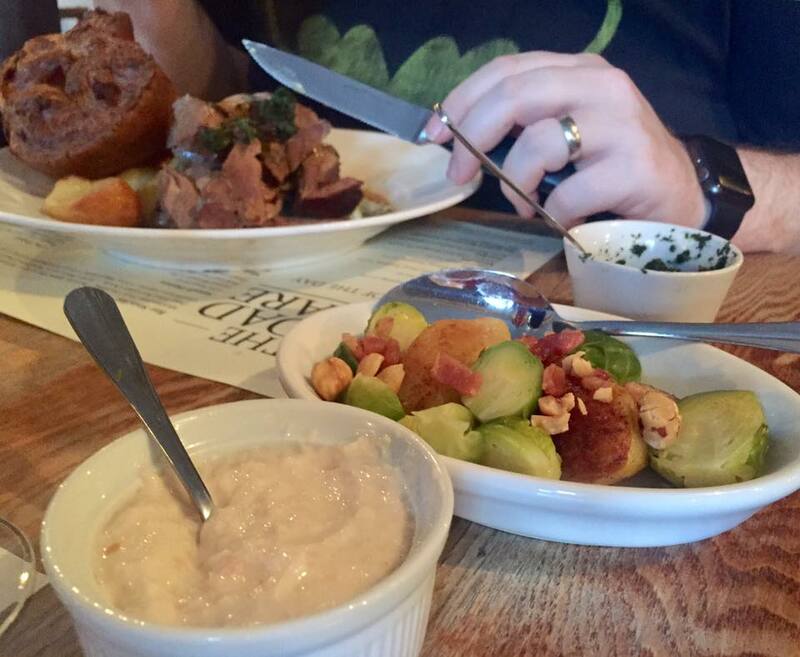 As we've discussed, we love the Broadchare but have yet to try their Sunday lunch. 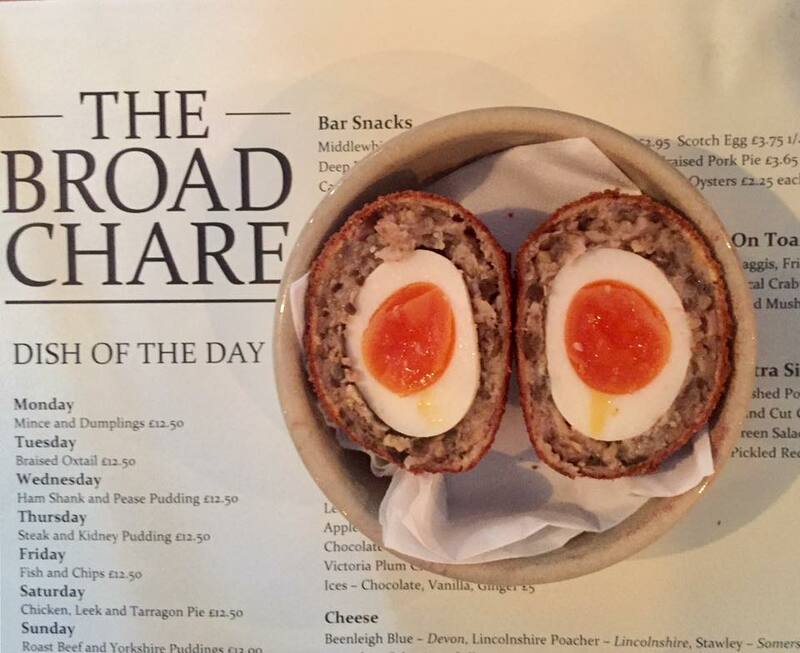 Broadchare is our go to date pub as it's chilled, has great drinks but good food and service. 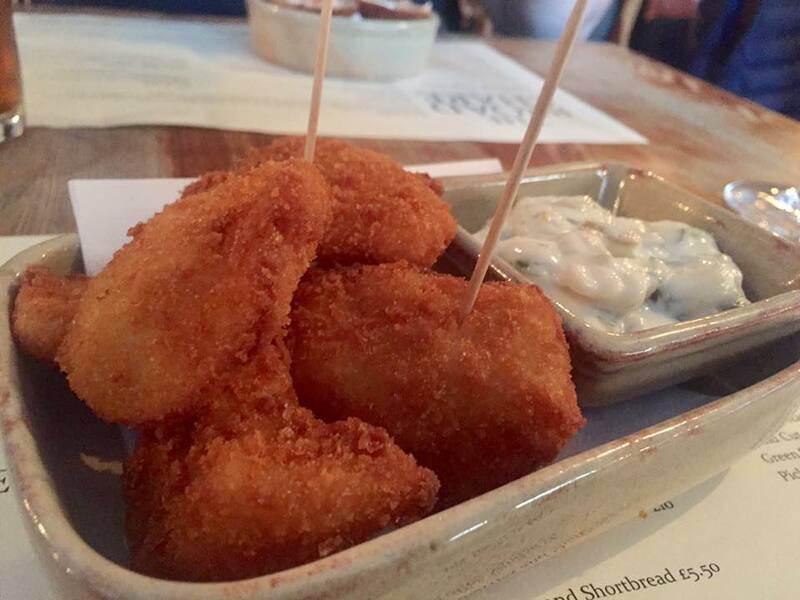 We ALWAYS order the monkfish cheeks and scotch egg to start. Last time they didn't have the monkfish cheeks and Mark was truly devastated, haha. We love the West St Mungoes beer too (so much so I once got the brewery to send a box to Mark for Xmas). Definitely going to go try it for Sunday lunch now - as well as the Fox Hole. I know we have the same taste in food! I have literally never been to Broad Chare, I don't know how I've managed to stay away so long! cannot remember the last time we went out for sunday lunch. Always running round like loonies ferrying the kids about. Need to make plans in new year!